Dr Bill Daniel's research interests are in: Finite element methods, dynamic analysis, mechanics applied to railway engineering (Rail CRC projects), metal forming analysis. Dr Daniel is a senior lecturer in Mechanical Engineering within the School of Mechanical and Mining Engineering. 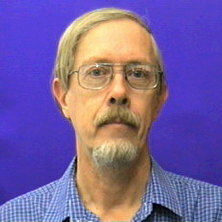 Dr Daniel received his PhD from The University of Queensland in 1979. He was appointed as a Lecturer in the School in 1990 and has been a Senior Lecturer since 2006. He has also been a visiting Lecturer at the University of Wisconsin (Madison) and at the South China University of Technology (SCUT). He has previous industry experience at the Ford Motor Company, Compumod Pty Ltd, and has contributed to educational development as a committee member for several conferences and invited lectures. His current research projects are in the fields of rail corrugation and metal forming analysis. A process has been designed and patented to form a profile from a flat sheet by means of a continuous incremental press forming process - an alternative to roll forming. The project investigates the optimal design of tooling for the new process. A rail squat is a depression in the running surface of a railway line produced by a subsurface crack. A current project with the CRC for Rail Innovation aims to study the conditions that lead to such problems. The project involves collaboration between University of Queensland, Monash University and Central Queensland University. With Dr Paul Meehan, and in collaboration with Queensland Rail and other state railways, working on a Rail CRC project to predict the rate of growth of corrugations in railway lines. Working on improving methods of contact modelling for finite element analysis, in collaboration with Professor Ted Belytschko at Northwestern University, USA and Dr Guilio Ventura in Turin, Italy. A dieless forming process involves moving a spherical indentor over a metal sheel clamped at the edges, gradually deforming it into shape. Analysis of the process poses the difficulty that as the process takes a lot of physical time, so it will take a lot of computer time if done by an explicit time integration solver - the conventional way to simulate forming on a computer with finite elements. Strategies are needed to obtain a more efficient simulation, for instance by means of a coarse global solution corrected local to the indentor, where the deformation is more severe. Efficiency can also be gained by multi-timestep integration, where larger timesteps are used away from the region of rapid deformation. The project would start by evaluating an existing Fortran explicit dynamics code, the source code of which is available, and which has already been modified to include multi-timestep integration, but not global-local analysis. Finite element modelling of roll forming mechanics - focusing on effects neglected by present commercial software, including friction with the rolls and thermal effects. Investigation and modelling of the residual stresses and thermal distortion caused by welding of tubes obtained by roll forming. Validation of models from testing and proposal of corrections to simpler models of roll forming. Scholarship funding is available for this position, commencing in 2005. Software modelling corrugation due to cornering from the rail corrugation project needs to be given a user interface, to enable non-specialist use, and the effects of varying parameters need to be studied in a more thorough way. Speeding up the simulations is also an issue. Daniel, W. J. T. and McHenry, C. (2001). Bite force to skull stress correlation - modelling the skull of Alligator mississippiensis. In G.C. Grigg, F. Seebacher and C.E. Franklin (Ed. ), Crocodilian Biology and Evolution 1 ed. (pp. 135-143) NSW, Australia: Surrey Beatty & Sons. Daniel, W. J. T. (1983) Development of a conveyor pulley stress analysis package. Transactions of the Institution of Engineers, Australia. Mechanical engineering, ME8 3: 117-123. Daniel, W. J. T. (1982) Flywheel design by the finite element method. Transactions of the Institution of Engineers, Australia. Mechanical engineering, ME7 2: 75-79. Daniel, W.J.T., Mackay, I. and Jeude, B. (2017). Realistic modelling of squat cracks. In: 9th Australasian Congress on Applied Mechanics, ACAM 2017. 9th Australasian Congress on Applied Mechanics, ACAM 2017, Sydney, Australia, (). 27-29 November 2017 . Farjoo, M., Pal, S., Daniel, W. and Mackie, S. (2012). Squat formation and propagation: metallurgical and mechanical points of view. In: CORE 2012: Conference on Railway Engineering, Brisbane, Australia, (). 10-12 September 2012. Daniel, Bill (W. J. T.), Jones, Rhys, Mohan, Sajith, Pal, Sarvesh, Farjoo, Mohammadalli and Kerr, Malcolm (2011). An investigation of rail squats from several perspectives. In: 9th World Congress on Railway Research (WCRR 2011): Conference proceedings. 9th World Congress on Railway Research (WCRR 2011), Lille, France, (). 22 - 26 June 2011. Ding, S., Daniel, W. J. T., Yuan, J. and Zhang, Y. (2008). Making roll forming flexible-introduction to Chain forming. In: Yokohama Tube and Pipe 2011 Joint Symposium: Innovative Tube and Pipe Manufacturing and Forming: proceedings. ITA International Conference on Innovations and Technical Realities for Tube and Pipe Production, Pipe Dream India 2008, Osaka, Japan, (335-340). 13 - 14 June 2011. Daniel, W. J. T. (2002). Combined stiffness and damping control of hourglass motion. In: Proceedings of Fifth World Congress on Computational Mechanics. Fifth World Congress on Computational Mechanics, Vienna, Austria, (1-10). 7-12 July, 2002. Daniel, W. J. T. (2001). Multi-timestep integration in computational dynamics. In: Jorge A.C. Ambrosio and Michal Kleiber, Proceedings of the NATO Advanced Research Workshop on Computational Aspects of Nonlinear Structural Systems with Large Rigid Body Motion. NATO Advanced Research Workshop on Computational Aspects of Nonlinear Structural Systems with Large Rigid Body Motion, Pultusk, Poland, (169-189). 2-7 July, 2000. Daniel, W. J. T. (1999). Three dimensional orthotropic viscoelastic finite element model of a human ligament. In: Book of abstracts: 5th US National CongUSNCCM99. 5th US National Congress on Computational Mechanics, Boulder, Colorado, (256-256). 4-6 August 1999. Daniel, W. J. T. (2002) Finite element models used to study rail corrugation Brisbane: Division of Mechanical Engineering, The Univ. of Qld. Software has been developed using Matlab for modelling corrugation on straight railway track and on corners. There are many questions that can be investigated further by modifying this software. For instance, what effect do different track models have on prediction of corrugation in cornering? The software itself can be developed further. For instance, a student this year has developed a model of a flexible wheelset with specified natural frequencies, and has commenced work on incorporating this into a model of a whole wagon. More work is needed to assess how modes of vibration of the wheelset are excited. Bull-bars are formed by bending hollow tubular sections. There is interest in developing aluminium alloys to better suit such a manufacturing process. This project is not about the alloy development, but about simulating the bending process itself, using the ABAQUS finite element package, to assess the effects of changing the stress-strain curve on the success of bending. It is of interest to compare implicit and explicit solutions. Similar analyses have been done previously using an explicit solver (LS-DYNA). The analysis is not trivial, as it involves modelling use of a rubber pad to impart the forces causing bending, and modelling contact with finite sliding. A process of interest to local manufacturers involves moving an indentor with a spherical tip, over a metal sheet, gradually forming it into a desired shape, without first constructing a metal die. This process has potential to be used to make large moulds, for instance for fibreglass construction. The project would test the capabilities and limitations of the ABAQUS finite element package at simulating such a process, and the limitations of such a process itself (eg "forming limits" - maximum strains that can be induced). A finite element model does not give a smooth enough description of a surface for contact analysis in many situations. Some new approaches to smoothing a surface need further investigation and testing. This can be done using Matlab code, some of which is existing. For instance, it is of interest to model extrusion through a die in 2D. To predict rail corrugation when a train is cornering, the dynamic conditions encountered by railway wheels during cornering need to be understood. Software developed to date works by perturbing a known state of steady cornering, to predict corrugation growth. Non-steady cornering conditions, like those entering a corner, can be predicted using commercial software ADAMS/Rail to simulate motion of one or more railway carriages. The project would use ADAMS to obtain typical motion histories of the wheels at low frequency, which could then be used to drive a higher frequency simuation of corrugation growth. The aim is to explain experimentally measured wavelengths found in railway track on corners. Rail squats are subsurface cracks that grow below the running surface of a rail. The conditions of loading (normal force and traction) and creep that are associated with such problems need to better understood. The residual stress field due to repeated passage of wheels needs to be predicted to aid crack growth study. Both dynamic modelling and experimental investigation are required. Rail squats are cracks that grow below the surface of a rail. The crack growth is enhanced by water entrapped in the crack, and may also involve stress corrosion. The project will involve study of cracked rails and modelling of crack growth.